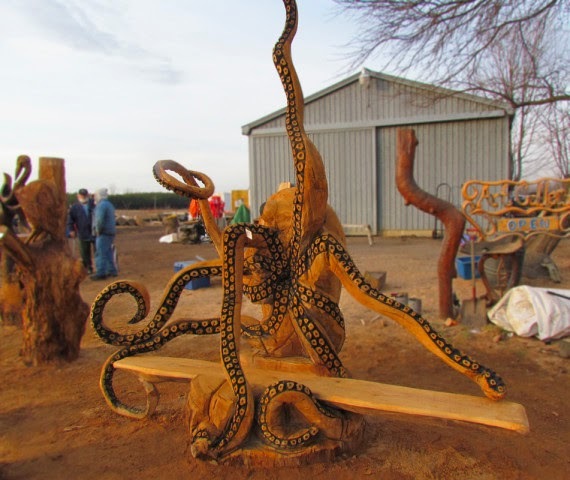 Chainsaw carving is one of the most dangerous art forms, but when a chainsaw is in the hands of a skilled artist, the results can be beautiful. 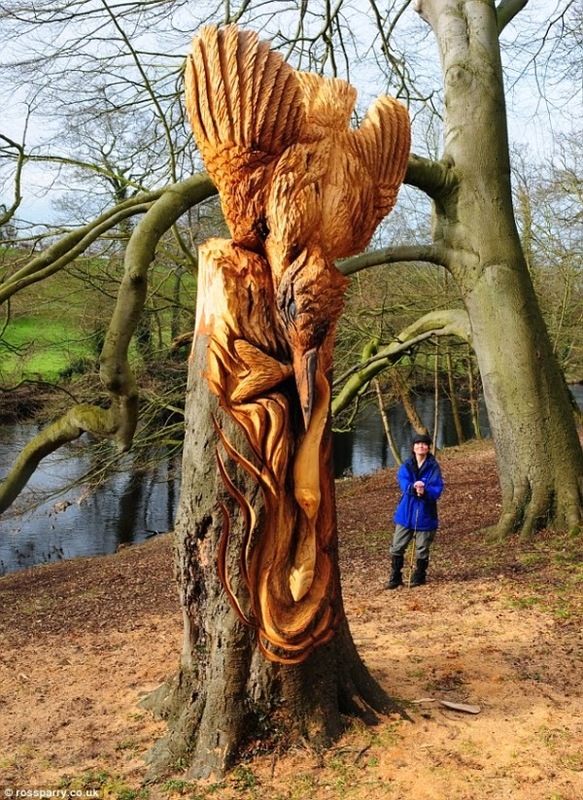 Check out ten awesome chainsaw carving sculptures from some of the most skilled artists around the world. This carving from Matthew Crabb is has some the most intricate detail we have ever seen in a chainsaw carving. Crabb is one of the most skilled carvers in the world and regularly posts his creations to his Facebook page. 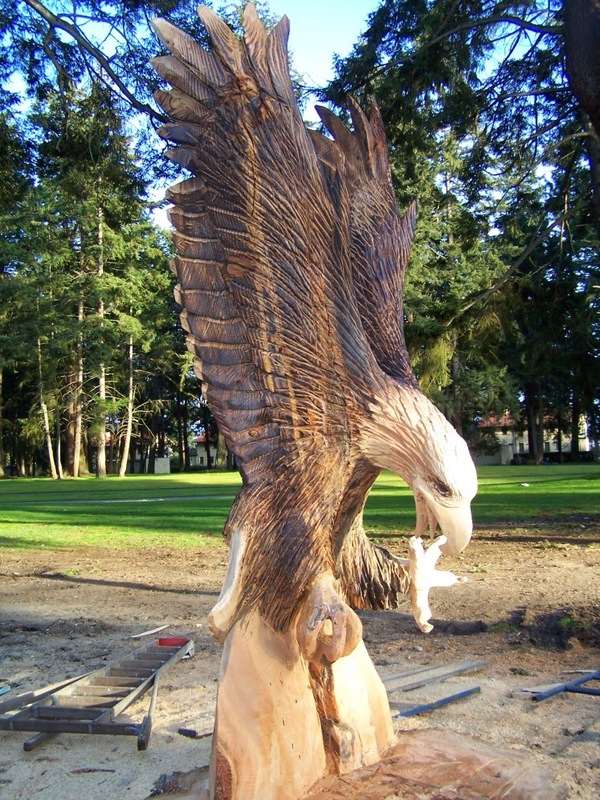 Bob King, known as the Chainsaw King, is a skilled carver and member of the Echo Carving Team. His work is distinctly American, with eagles, bears, and other North American wildlife as the subject. Mark Colp is another member of the Echo Carving Team, and this Battlefield Cross carving is one of the most striking we've seen. Echo's website has many examples of his work. Sculpting thin pieces of wood with a chainsaw isn't the easiest task. 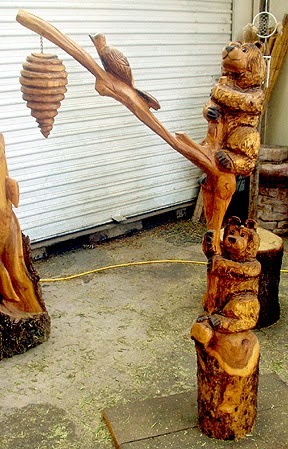 We like this carving by Cherie from ChainsawChick.com both for its creativity and risky nature. 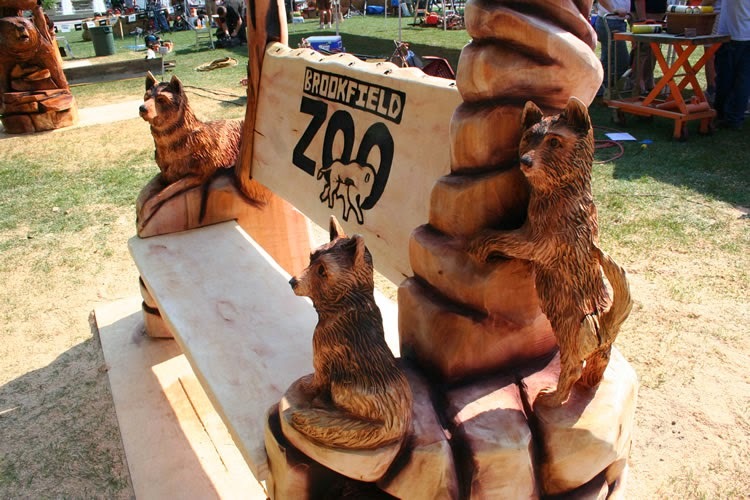 Jason Emmons of the Echo Carving Team combines form and function in this bench for the Brookfield Zoo in Chicago. Another great piece of furniture we found on YouTube with a freeform design. Watching the artist in action gives you an idea of just how much work goes into a project like this. Jesse Toso is a woodworker out of Vancouver and carved this piece at the Canadian Carva-Palooza where it was auctioned off. There's a cool time lapse video of the carving here too. 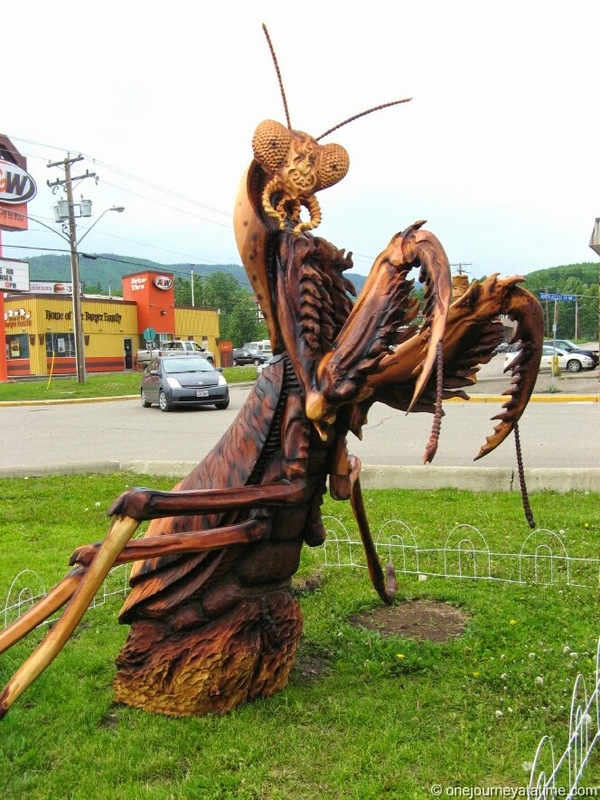 The detail in this praying mantis carving is unparalleled and the reason Chris Foltz won the Chetwynd Chainsaw Carving Championship in 2012. 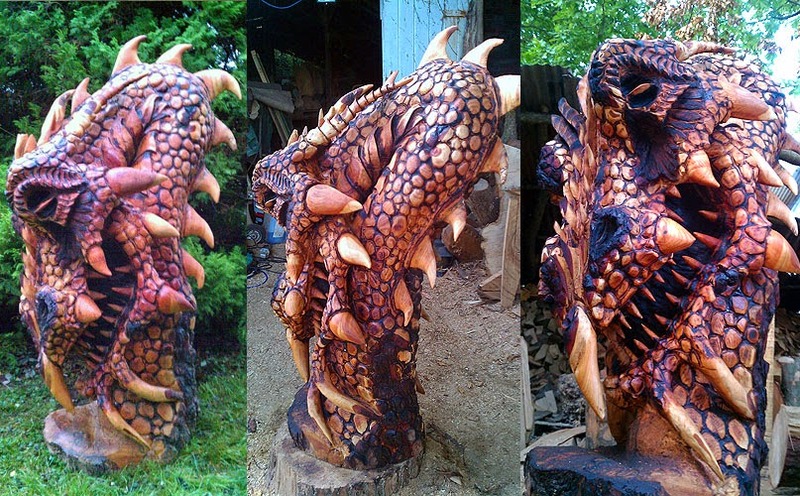 Some of the most skilled chainsaw carvers in the world attend this championship every year. 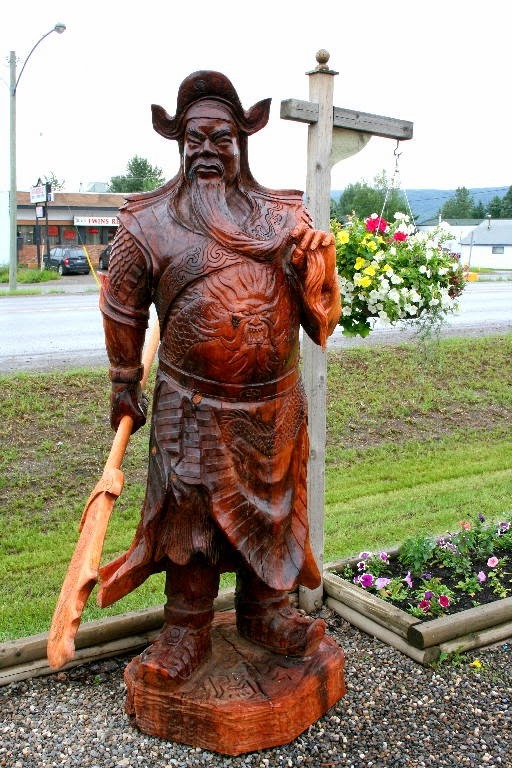 Jeff Samudosky won first prize in the 2013 Chetwynd Chainsaw Carving Championship with his depiction of Chinese General Guan Gong. These carvings apparently turned up in North Yorkshire, UK with little explanation as to who the artist was. The artist has since been identified as Tommy Craggs. 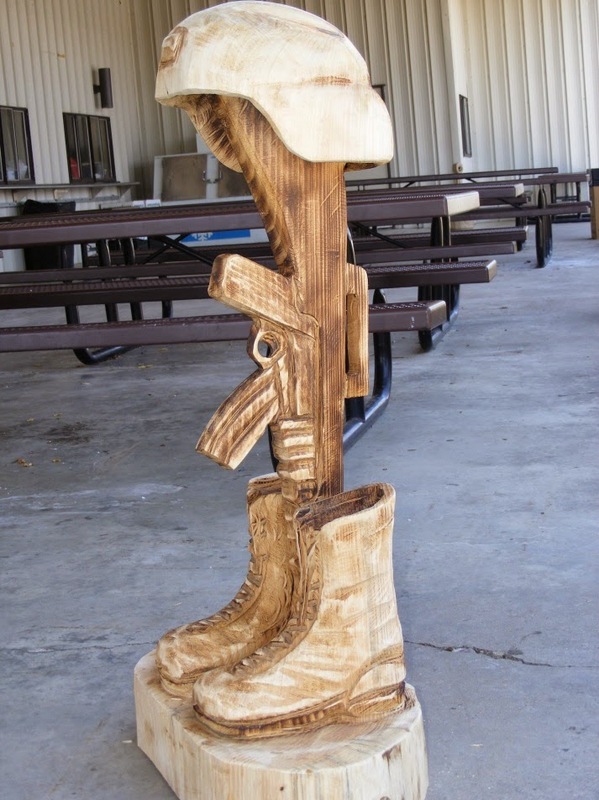 Have you seen any other cool chainsaw carvings? Drop us a link in the comments or visit us on Facebook to show us some cool work.